Charles J. Shields is a respected biographer and author. His literary studies of Kurt Vonnegut (And So It Goes: Kurt Vonnegut, A Life – 2011) and Harper Lee (Mockingbird: A Portrait of Harper Lee – 2006) have been widely recognised as significant works on these two authors. Now he’s turned his attention to one song. And a significant song at that: John Lennon’s “Imagine”. In Imagine: The Story of a Song Shields traces the song’s origins. Interestingly, he begins with the fire-bombing of Tokyo during Yoko Ono’s youth, and the violent death of Lennon’s mother during his adolescence. From there he moves through Lennon’s post-Ed Sullivan skepticism to John and Yoko’s “Bed-In” events of 1969 and unearths the secrets of this one song’s lasting import. If music can change the world, “Imagine” came as close as any song might. This short Kindle book (37 pages) is its story. 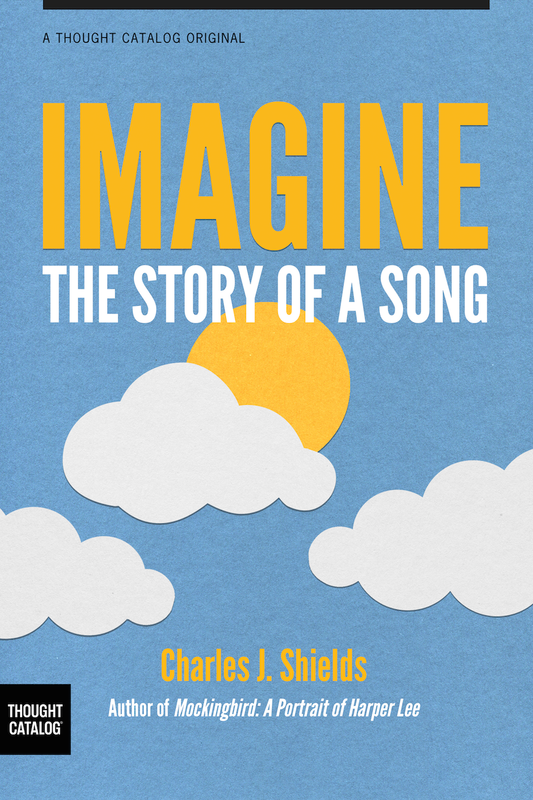 Imagine: The Story of a Song is available as an Amazon Kindle for US$4.99. You can even have a brief “look inside” before you buy. Shields is also the author of this brief thought piece on John Lennon entitled “5 Surprising Ways John Lennon Changed the World“. Worth a look. This entry was posted in Beatles, Beatles Books, Beatles Music, John Lennon and tagged Beatles, Imagine, John Lennon, Music, Yoko Ono by beatlesblogger. Bookmark the permalink.